Several years ago I started jogging several times a week as a means to keep fit. Running didn’t require me to a go to a gym, adhere to a schedule, or have any special equipment. I could run anytime and anywhere. All I needed was a good pair of running shoes and motivation. At some point I crossed over that invisible line that changes a person from a jogger to a runner. Three miles used to sound like a long distance to me but when I started adding miles to my runs, I realized that the human body responds to gradual increases in speed and endurance very efficiently. The more I ran, the more I wanted to run but I was also careful not to overdo it because I didn’t want to injure myself; I was keenly aware of the possibility of injury as runners talk about two things incessantly: times and injuries and I didn’t want to become a member of the injury club. Running magazines devote space in every issue to training programs and injury prevention. One of the most intriguing injury prevention therapies written about are ice baths: the practice of immersing oneself in a bath filled with cold water and ice, at a temperature of 50-55 degrees. After a strenuous or long workout, an athlete would immerse him or herself into an ice bath for about 15 minutes which would narrow the blood vessels and reduce the blood flow to the limbs thereby reducing inflammation and allowing the athlete to recover quicker. This all made sense to me as I already knew to use ice to treat an injury: when a head is bumped or an ankle sprained, a bag of ice is applied. 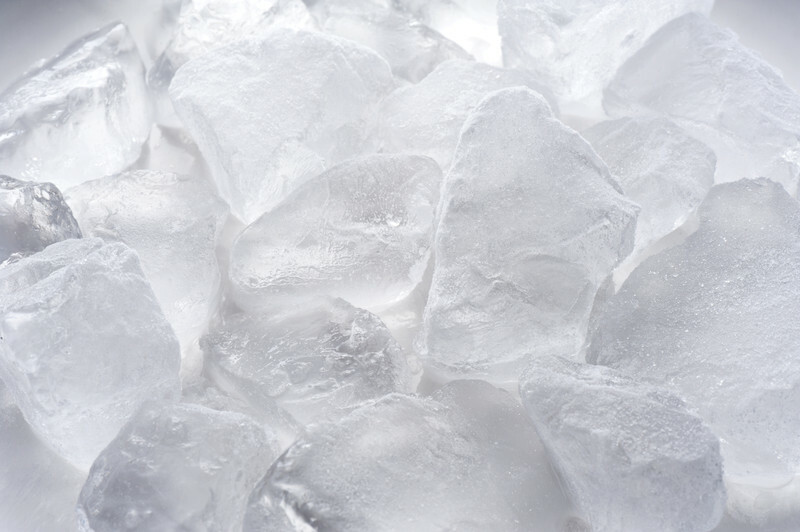 If ice is used to treat an injury, why not use ice to treat muscles that have just been taxed to prevent an injury? I understood the logic but couldn’t get my head around putting myself voluntarily into a bathtub filled with cold water and ice. After a long run, my mind is focused on taking a hot shower which according to many running guides, is not the best post exercise treatment. One day after a week of cross training alternating days with running and spinning classes, my muscles were feeling fatigued so I decided to try an ice bath. Immediately after an eight mile run, I filled the tub with about 6 inches of cold water and then poured 30 pounds of ice into the water. At first, I stared in disbelief at the arctic lake before me. Then, I put a sweatshirt on to keep the top part of my body warm and grabbed a hot mug of coffee. I slid into the tub and can only describe this as about the most miserable after exercise experience I ever had. The shock of the cold water made me tighten my muscles, whimper, and breathe quickly. My teeth began chattering and I broke out in goose bumps. I decided to focus on my breathing and count backwards from 100 while holding the warm mug in my hands. I began negotiating with myself making a promise that if I still felt this awful by the time I reached zero, I would get out of the tub but by the time I finished counting.I was numb and ok – resolved to putting my 15 minutes in. Alternating between sips of hot coffee and reading the latest issue of Vanity Fair, I tried to keep my mind occupied. I wasn’t comfortable but I wasn’t miserable. After 15 minutes, I slowly lifted myself up and wrapped a towel around my legs and feet. I could barely feel my limbs so I sat down for a few minutes and then started to walk around. My legs slowly warmed to room temperature and then I rewarded myself with a warm shower. Later in the day, I noticed my legs didn’t ache or feel fatigued. In fact, they felt strong and capable. I knew I was on to something. Most people have second freezers in their house to hold food staples. Our second freezer is filled with row after row of 10-pound bags of ice. When I go to the grocery store and buy a dozen bags of ice, the clerk invariably comments about my upcoming party and I think “if only she knew.” When my husband and I were talking about renovating the bathroom recently, he half jokingly suggested we put an ice maker in the bathroom. Not a bad idea, I thought…I could just scoop the ice into the tub. For nearly two years, I have been taking ice baths. At first, I took an ice bath after my weekly long run but then started taking them after every run because each run was intense in its own way: speed, tempo, or endurance. Fearing injury, I told myself this was a small price to pay to remain injury free. I marvel at how something so simple: water and water frozen into a solid state – can be so beneficial.